PAW in your Email to get the Weekly Pet Events Newsletter! 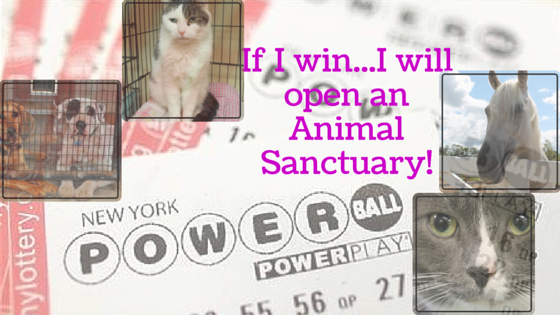 7 Ways to help animals now – with no powerball winnings! Imagine winning the Powerball lotto this week? I have asked the question, what would you do with all that moola on my Facebook page and the majority of the answers from my pet loving friends was; “I would open an animal sanctuary!” or “I would adopt all the pets from our locak animal shelters.” We are pretty full to the brim with pets for adoption here on Long Island (dogs, cats, puppies, kittens, horses, chinchilla’s, birds and even some reptiles) – so those answers are great ones indeed. However, chances are that you may not win the 1.4 Billion jackpot, now don’t get me wrong, you could win it (ever the optimist here! ), and you could open that animal sanctuary – make an amazing place, help countless homeless animals. It would be a wonderful thing. But since the odds unfortunately are against you, like they are against our homeless animals in this country, how about thinking of some ways you can help now. I know some of you may be screaming at your computer screen reading this, “But Nancy, I already do help, I donate, I volunteer, I share photos of dogs and cats needing homes, I go to the events…” Ok, please don’t yell at me, I know so many amazing pet people who do this. So from the bottom of my heart (and Cody’s!) THANK YOU – keep up the AMAZING work. 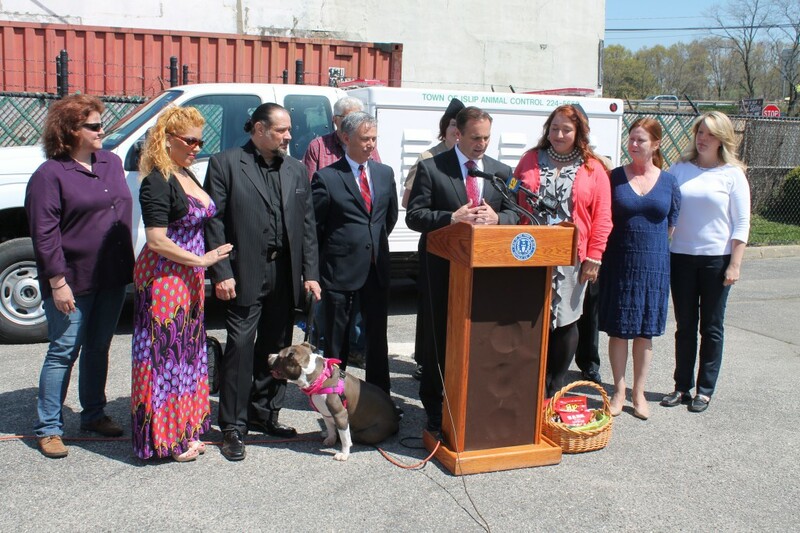 Foster - Becoming a foster pet parent is SOOOOOO needed here on Long Island, and everywhere across the country. I know some people are wishy washy about fostering, “I don’t know how I could give them up.” Or “I just don’t have the time to add a foster to my schedule,” I get it, but think about how happy that dog or cat that has been sitting in the shelter for years will feel being in a warm, comfy, loving home? Our rescues here on Long Island are in desparate need of Foster homes from little Yorkies to Rotties and everything in-between. Donate Your Services – Now if you are a dog trainer, chances are you may have done this already – volunteered at an animal shelter, helped with a case here or there. And I get it you need to make a living. But if you volunteer your services 1 time a week to a local animal shelter OR volunteer to help someone who may need help (i.e. they are thinking of giving up their dog due to something as simple as puppy chewing – no joke, sadly this happens all the time – and 99% of the time it is the owners fault the puppy is chewing and NOT the dogs). So maybe offer your services to them at a discount or for free and with the understanding that they won’t turn the dog into the shelter. Pet Photographer? Donate your amazing photography to help get their pets seen in a better light than just from an iphone picture. Be a Billboard – Ok so your friends may know that you are heavily involved in rescue or just love your pets way more than they do! Become an informational human walking billboard so to speak, about the things that are needed by our rescues or a rescue that you work with. If you do this in a way that is educational, informational and from factual and correct info – you will be taken more seriously. If you’re working the 9-5 at a corporate office, more than likely there are many of your pet loving tribe is already there – see if you can get your, co-workers, boss or company to take on dogs/cats/horses each month by sponsoring them. Tell them what their monetary (should be tax deductible too) will do for each and every animal. This is where your billboard comes in. Maybe you might even get some co-workers to foster! Volunteer Your Expertise – Are you a social media guru? Can you volunteer a few hours a week to a non-profit rescue to help them with their social media? Most rescues need a lot of administrative help as well. Can you help with grant writing and/or applying for grants for them for funding? Are you an animal lawyer that could help them with contractual legalize? Are you an event planner extrodinaire? Help your favorite rescue with their gala event to help raise funds for the animals in their care. Are you a video producer, you can shoot footage and put together short videos of pets available for adoption to be shared on social media. You get the point. Teach Compassion – If you are a teacher, there are a few things you can implement (with your principals ok of course), you can have a rescue come in and talk to your class. The rescue can teach your kids about what they do on a daily basis, about the animals they rescue, how the importance of being a kind, loving and responsible owner is, and how they can help even at a young age. Many kids get inspired by this and figure out a way to help on their own. You could organize a class project to pick out a rescue to work with throughout the semester, or even better full year. The possibilities are endless. Host an Adoption Event – Have a retail store or business location that would not nessecarily be associated with a pet adopt-a-thon? Host an adoption event at your location with your favorite rescue. Many of your customers will love this and it will help educate the every day non-pet industry person about the dire need for adoptions. Adopt – But of course – open your heart, home and life to a homeless animal. You will be a much better, happier person for it and you will have just saved 2 lives (the pet you adopted and the space you opened in the animal shelter). This list could be about 100 ways to help without winning the powerball – as us pet pros know, but I hope it helps open your mind to helping, to the possibilities of what you can do right now without all that dough to help. Our rescues and the animals thank you. Now get out there and help! Have fun, easy ways and ideas to help out that you do – that you think others can do as well??? Comment in the Facebook comment section below – would love to hear them and share! While I am grateful these dogs are alive and well cared for in our municipal shelters across Long Island, (many, many shelter dogs do not have this chance), I am still heartbroken over the fact that these dogs have been in our shelters for years. YEARS, shall I say it again, Y E A R S! We all know dogs everywhere need to be saved, and I completely understand and am for that of course, however we collectively have over 1,000 dogs in our local Animal Shelters across Long Island, looking for homes. Over 1,000 dogs locally looking for homes. My own dog Cody was in the Islip Animal shelter for 6-months before I brought him home, maybe if I didn’t adopt him, he would still be there almost a year now. I get sad when I think of him there for that 6 months, I can’t even imagine the dogs for years. Cody has brought so much joy and happiness into my life and now is even a little celebrity with his own facebook page. 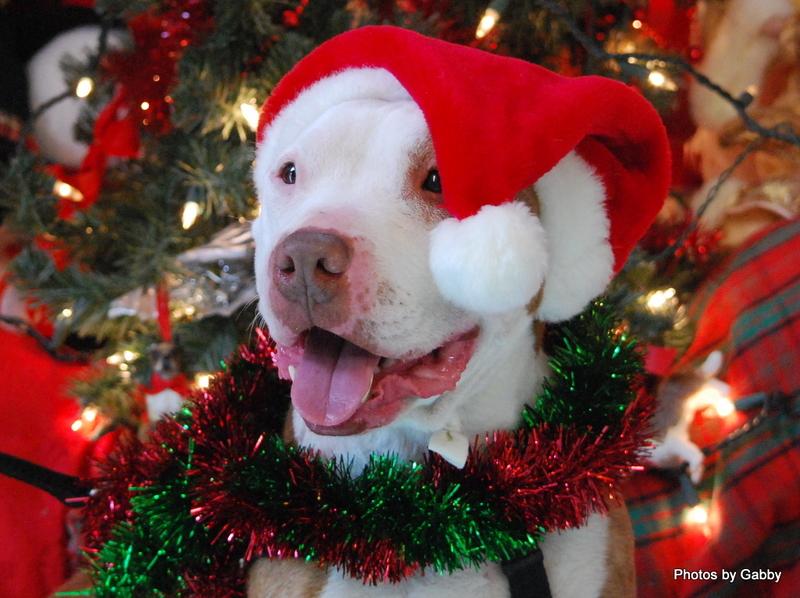 This holiday season, I hope you take a few minutes to read about each and everyone of the dogs in this article and mabye this will help open your eyes – and maybe, just maybe open your heart and home to one of the dogs in this list. And please, please, please share this to everyone you know, as a shelter is no place for a dog to live, the constant noise, the meet-and-greets that never come of anything, the concrete floors, stress levels, shall I go on? The best part, many dogs fall right into a routine and after a few weeks are like they were never even in the shelter, because dogs are resilent by nature, but rescued dogs they just know when they are safe and home – ask anyone who has adopted a dog and they will tell you the same thing. There many dogs featured below, please take your time reading about each one and sharing. Thank you. Mama is about as sweet as they come! She will melt your heart the minute you meet her. She was originally brought into the shelter very pregnant and ready to pop. She gave birth to 10 beautiful pups who have all been adopted. Sadly, no one ever adopted Mama and she sat watching her puppies leave one by one. She has the most amazing disposition and will be your best friend until the end of time. She loves everyone she meets of all ages and is housebroken and knows commands. Mama would like to be your one and only pet. 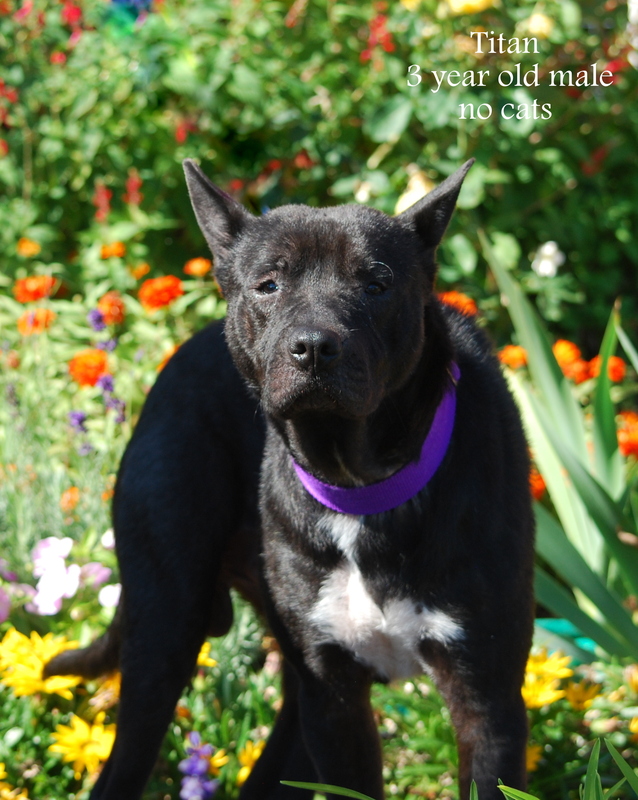 Dean #3525, a mastiff mix, has been with us almost half of his 4 1/2yrs of life. He’s a big boy who is really a bit shy and a mush. 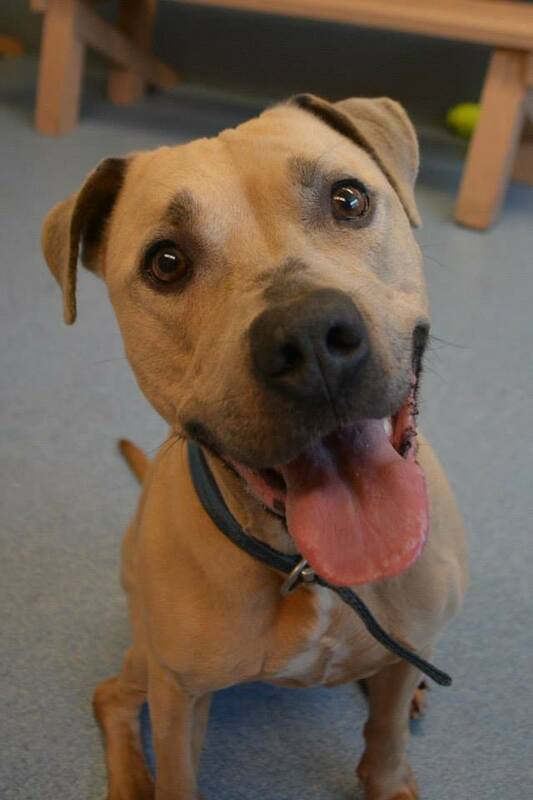 Staff & volunteers love him; he’s been to training and enjoys walks, playtime, cuddles and being close. He knows “sit” and is happy learning new things like “down.” He’s fine walking past other dogs on leash but would prefer to be the only dog in the home. Dean does have a silly and playful side and since he is a strong boy he would do best in an experienced home. Polar’s (#3987) one of our deafies. About 6yrs old, she’s been in the shelter 1/3 of her life. 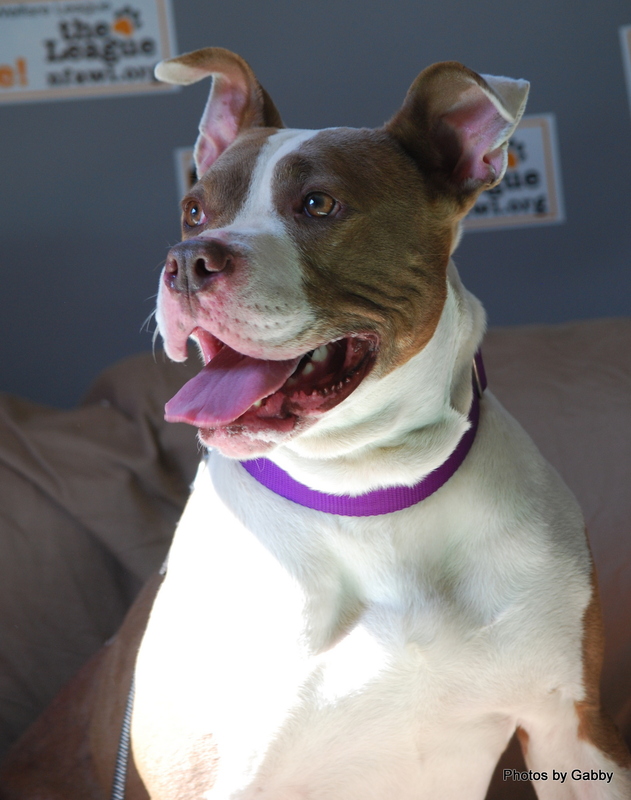 A staff favorite, this beautiful girl was surrendered when her owner lost her home. Polar was really scared but has blossomed into a loving, sweet, submissive girl. She seems to understand hand signals… ‘thumbs up’ is her fav! 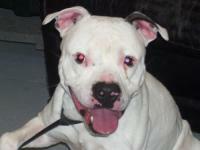 She needs an experienced home, either as a single dog or one in which the family is familiar with deaf dog introduction. Since Polar can’t hear, she is mostly found in the back of her kennel sleeping, making it harder to find her home! Sally is a 3 year-old pit mix who appears to have had little or no real human companionship. 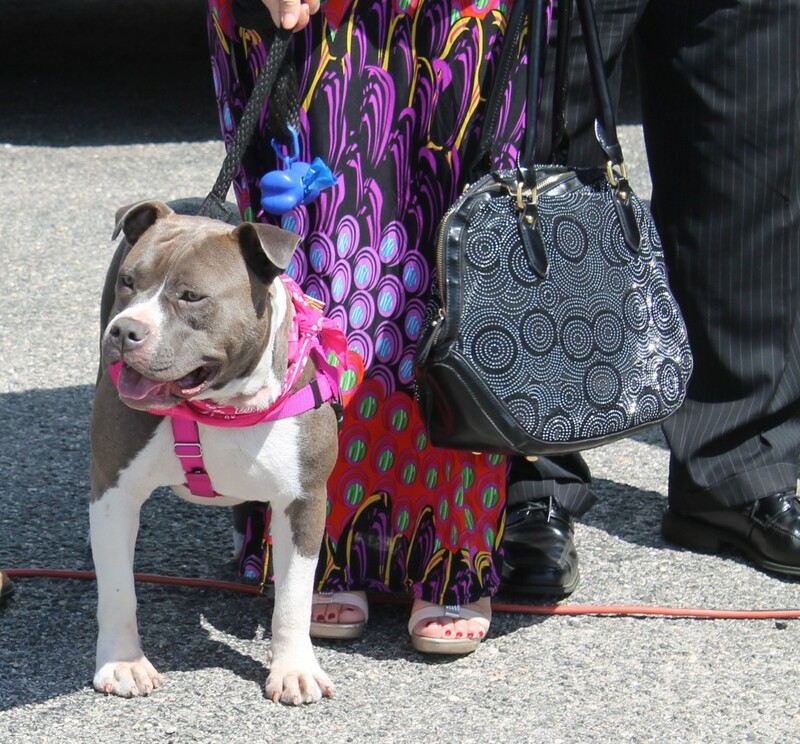 She has benefitted from her time at the shelter, learning basic obedience and working on her leash-walking. Sally needs to be the only pet in the home and would do best with older, teenage, children. 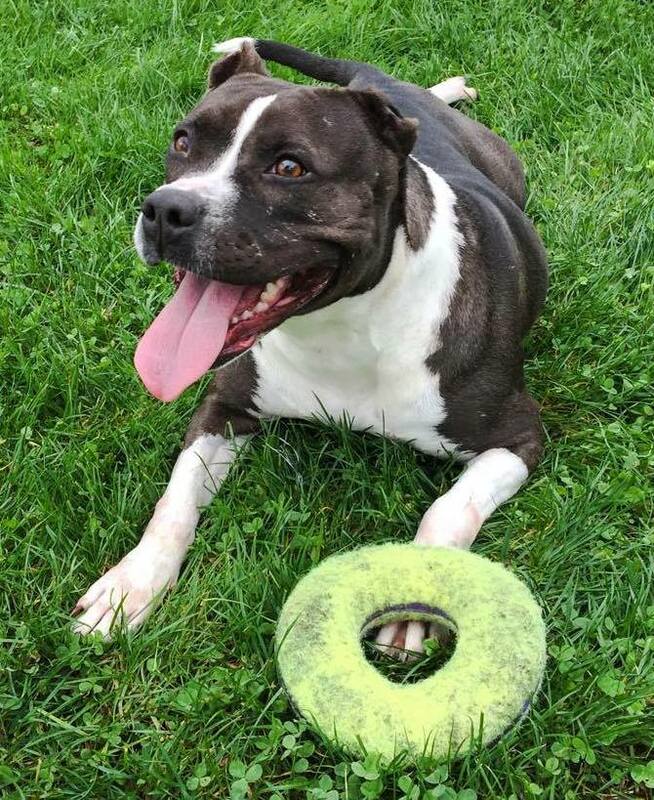 Sally is sweet, but needs a firm and consistent handler. An experienced dog owner is preferred. Sally has been at the shelter for 2 years. Jack is a happy boy who loves being around people. He is training on leash-walking but responds well to correction if needed. He plays well with other dogs and older children. He gets excited but never aggressive with human contact. Jack is neutered, negative for heart worm and up to date on his vaccinations. All dogs leave the shelter with HomeAgain microchip which is registered for life – Jack has been at the shelter for 1 year. 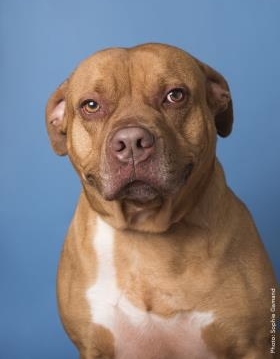 Cecil is a 3 yr old Pit bull turned in by his owner because they were movng. He is endless energy and needs lots of exercise and training. He is not for a first time dog owner. He needs a owner that is familiar how to train a dog and be consistant. Cecil has been at the shelter for 3 yeas! 3 years. Buddy is a 2 and a half year-old male Lurcher mix. (http://www.dogster.com/dog-breeds/Lurcher) Buddy was surrendered by his owner due to a housing complication. 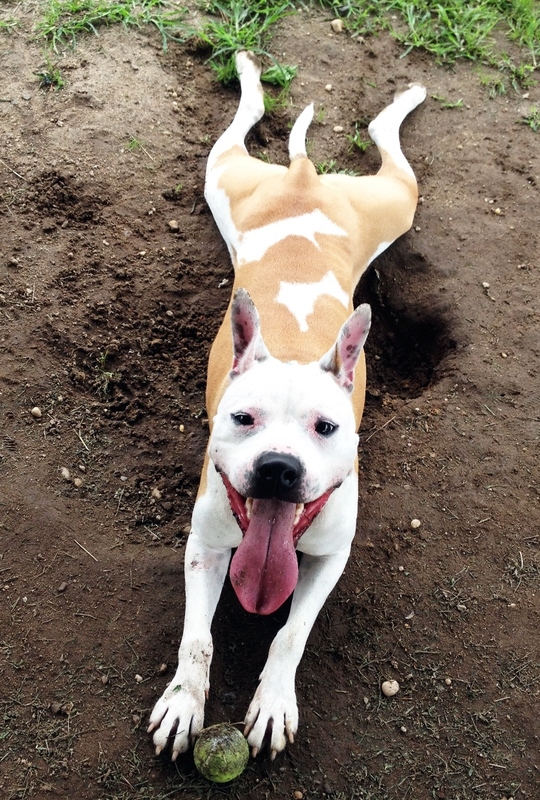 Buddy is a smart dog who has had a tough time adjusting to life in a shelter. His kennel behavior is poor and fear-based, but outside of his kennel Buddy is affectionate and playful – he has been in he shelter for 1 year. 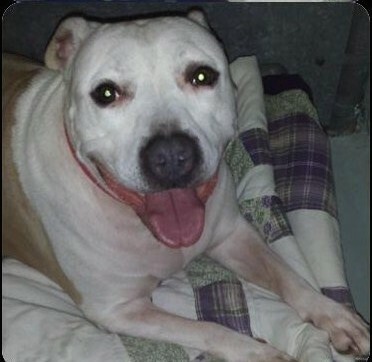 Susie is a 6 yr old simply delightful girl who lost her home due to eviction. She is extremely sweet and affectionate despite her size! She loves when people play with her and is looking for the right family to love her! Do not let her size fool you: her heart is as big as her entire body! She has been in the shelter for 3 years – THREE years! Stewy is a handsome boy around two years of age. He came in as a stray and so we have had to spend time getting to know him. What we have learned is that Stewy’s heart is a reflection of his stature, that is to say large. Stewy is working hard learning his basic commands and leash training. Due to his size, around 70 lbs, and tall, he would do best in a home with older teenage children. Potential adopters should be experienced as Stewy is sweet but needs consistent training right now. Stewy has been in the animal shelter for 1 year. 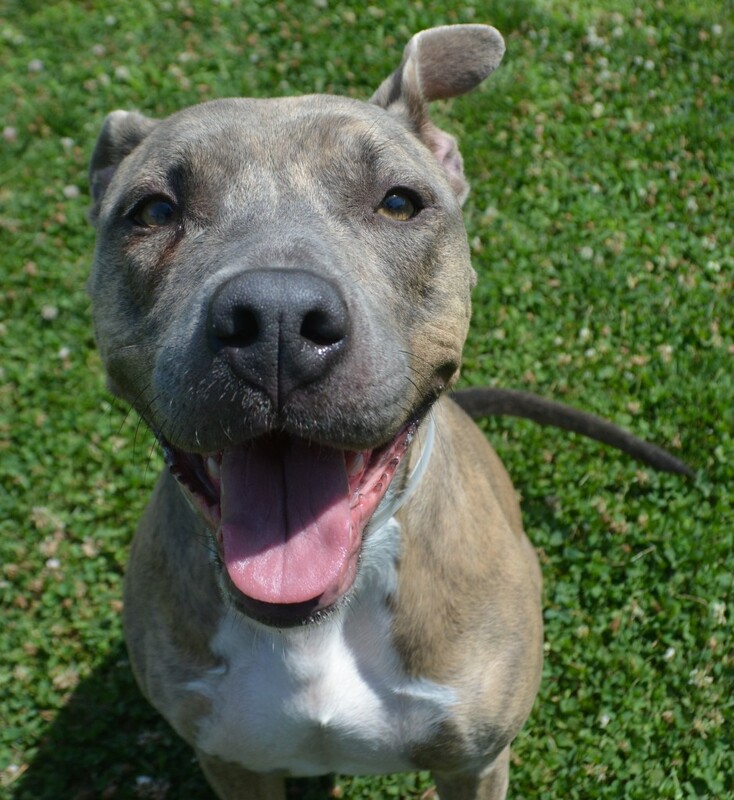 Hazel is a petite American Staffordshire Terrier mix who is roughly 3 years old. She came to the shelter on June 14, 2013. She has been in training for close to two years. She knows her basic commands, walks well on a leash and is housebroken. She needs to be the only animal in the home and would do best with older children. She loves playtime and belly rubs. Hazel’s adoption is paid for by Live.Love.Bark and she goes home with a collar, martingale, leash, a bed, bag of food, toys and treats and Free training for her is provided as well. 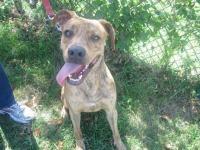 Sandy is a sweet female yellow Lab/ Pit mix, who is about 3 years old. She’s been at the shelter since November 11, 2013. She enjoys playtime, especially with squeaky toys and tennis balls. She would do great in an active home. She is currently in training and knows all of her basic commands, she walks nicely on a leash, and is house-trained. Sandy needs to be the only pet in the home, but gets along great with children. Sandy’s adoption is paid for by Live.Love.Bark and goes home with a collar, leash, bed, food, toys, and free training. 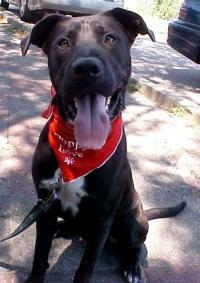 Scrabble is a handsome male Pit mix who is about two and a half years old. He’s been at the shelter since January 17, 2014. He is an active dog who loves to run and play. He knows all of his basic commands, walks well on a leash, and does wonderfully in public settings. Scrabble gets along with all dogs and cats. He would do best with older children due to his energy level. His adoption is paid for by Live.Love.Bark and he goes home with a collar, leash, bed, food, toys, and free training. Momma is a petite Pit mix who came to the shelter pregnant and gave birth to her last litter of pups. She came in on May 6, 2014. She’s about 6 years old and loves to be outside, able to run around or go in the pool. Momma knows most of her basic commands and is house broken. Momma needs to be the only animal in the home and would do best with children five and up. Her adoption is paid for by Live.Love.Bark and she goes home with a collar, leash, bed, food, and more. 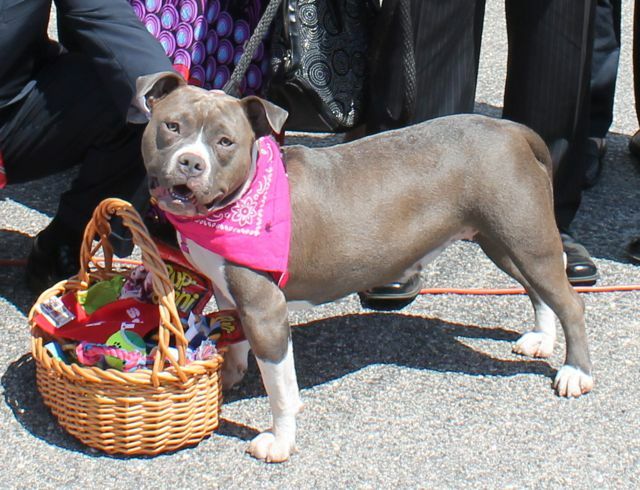 Desi is a female Pit who is about two years old. She has been at the shelter since June 14, 2014. She grew up in a cage. She is a good girl who is in training and getting proper socialization. 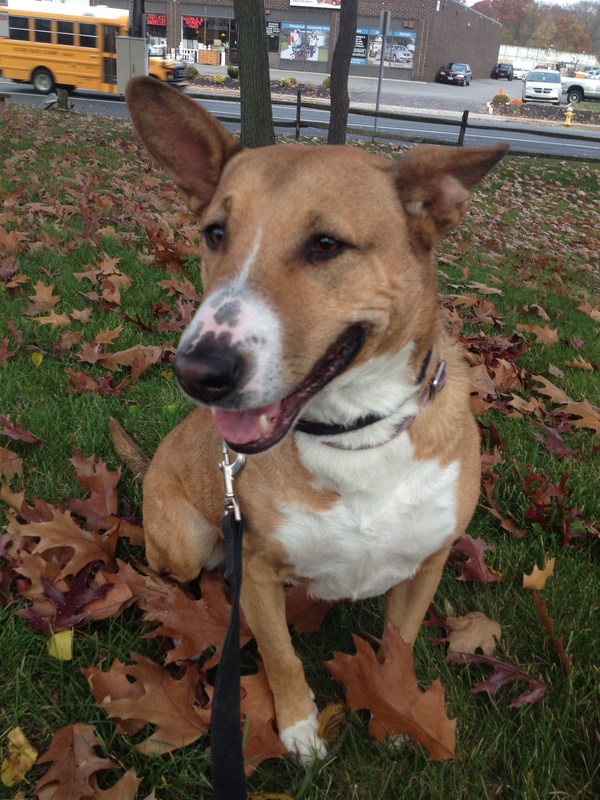 Desi is an active girl who would do great with some room to run around. 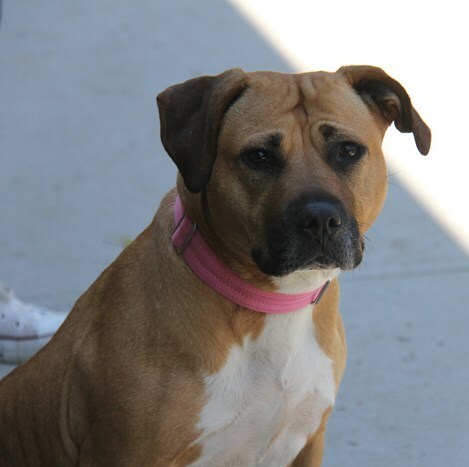 Desi needs a home without little children due to her energy and strength. She tested well with cats. Desi’s adoption is paid for by Live.Love.Bark and she goes home with a collar, leash, bed, toys, food, and more. 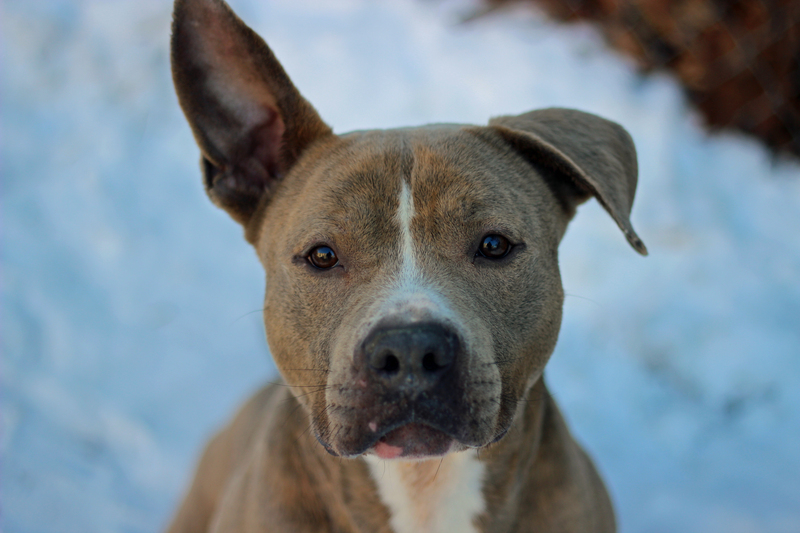 Cinnabon is an adorable female Pit mix who is about three years old. She just celebrated her one year anniversary at the shelter (11/6/14). 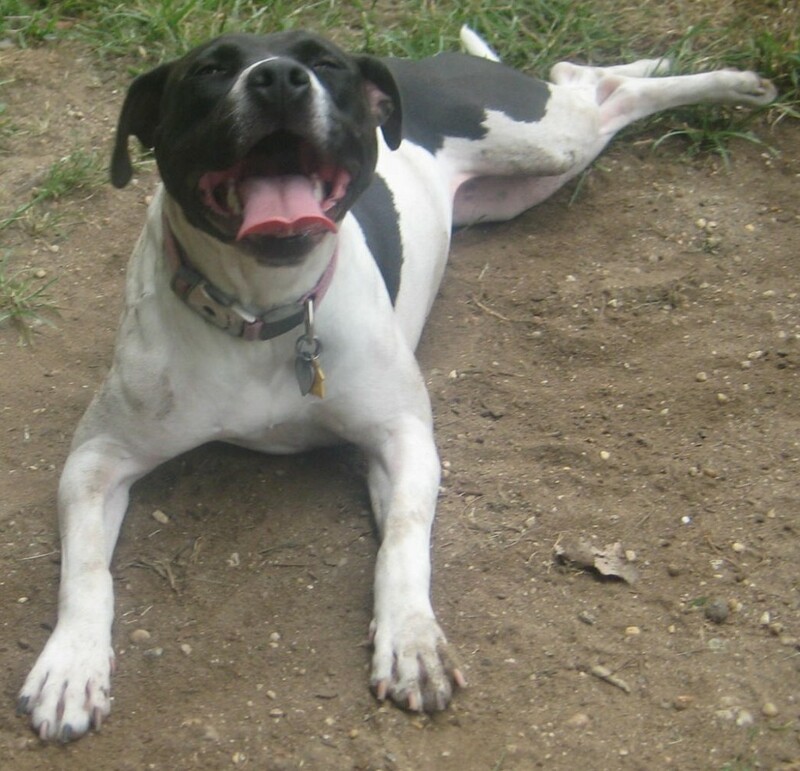 This playful girl is very athletic and would make an incredible agility dog. She is a good listener and is learning her commands. She knows sit, down and come so far. She needs a home without other animals and would do best with children five and up due to her energy level. Cinnabon’s adoption is paid for by Live.Love.Bark and she goes home with a collar, leash, food, bed, toys and treats. Emma was with us for nearly a year until we thought she was finally safe and in a forever home. She was adopted almost two years ago, and recently was returned because of the owner’s medical issues. Emma is a sweet Pit mix who is about 5 years old now. She knows her sit and come command and walks decently on a leash. She gets along great with children but needs a home without other animals. Emma’s adoption is paid for by Live.Love.Bark and she goes home with a collar, leash, bed, food, toys, and more. Sasha is 4 years old love all people!! is great in the car!! Good with kids . She was found running loose two years ago during a blizzard. Cinnie: I came to the shelter is 2011 I got lost from my family and could not find my way home. I ended up at the shelter and my family has never come looking. I have been here 4 years and want nothing more then a family. I love long walks, car rides, I know many commands and am told I am very smart and trainable. I would like to be the only pet in the home although I might be willing to share my family with a special dog. 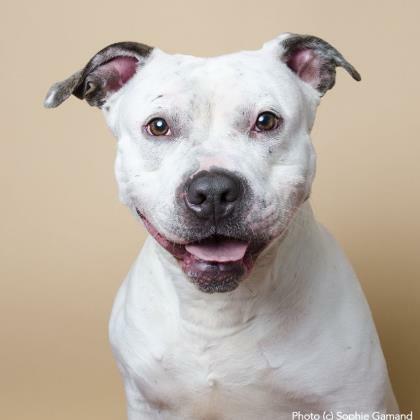 Spudster: I am 4 years old and I love every human I meet! I was living in a car with my owner and another dog when a good Samaritan who was trying to make my life better took me. I know it was a really nice thought but I ended up in a tiny pen with many very loud dogs around me. I was so scared! A volunteer noticed how scared I was and asked the shelter to take me in. Thank goodness they did! Now I am waiting for my forever home! I have some special health needs. Spudster has been in the shelter for 1.5 years. 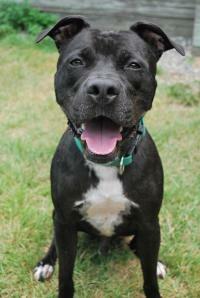 Titan is a sweet guy he loves to play and snuggle ! he is a volunteer favorite. No cats! 3 years old . He came in as a stray he was emaciated and had a terrible skin infection. He is now healthy and ready for his family! He has been at the shelter for about 2 years. Gracie is 9 years old she was used as a backyard breeder for years. She lived outside in a pen all year long. She finally go away and ended up at the shelter . She is very sweet but must me the only animal! 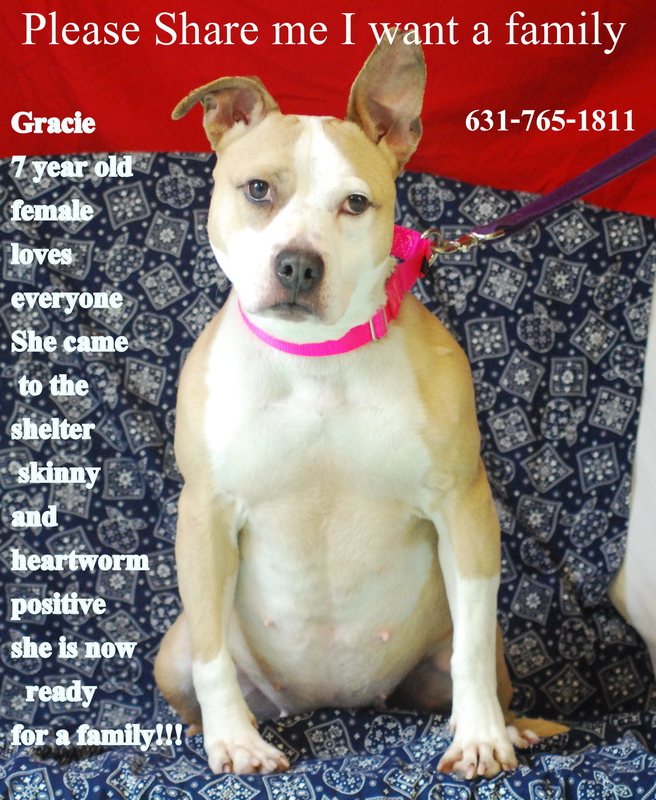 Gracie has been at the shelter for 1.5 years. 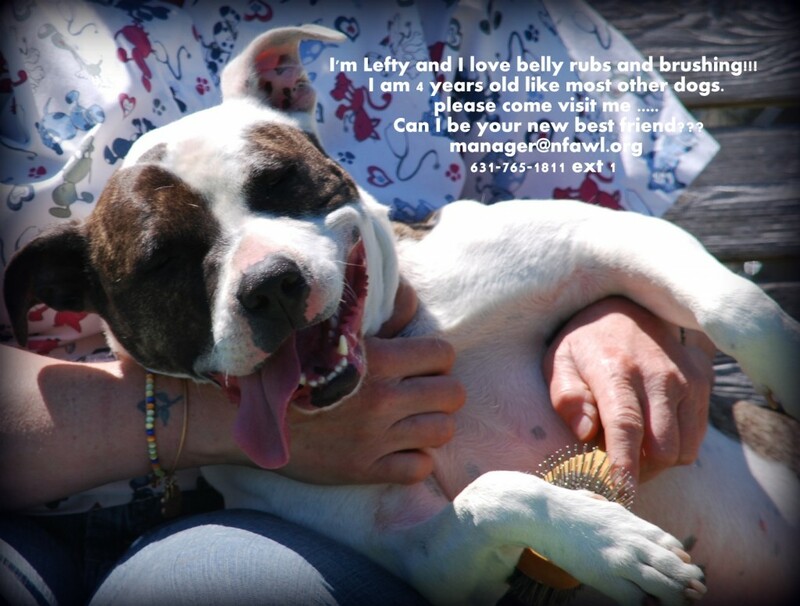 Lefty is a sweet girl a little shy at first meeting but once she knows you she is a love. high energy girl who loves long walks and to play! Lefty has been at the shelter for over a year. She is good with some other dogs. (I personally met her last year, what a sweetie). 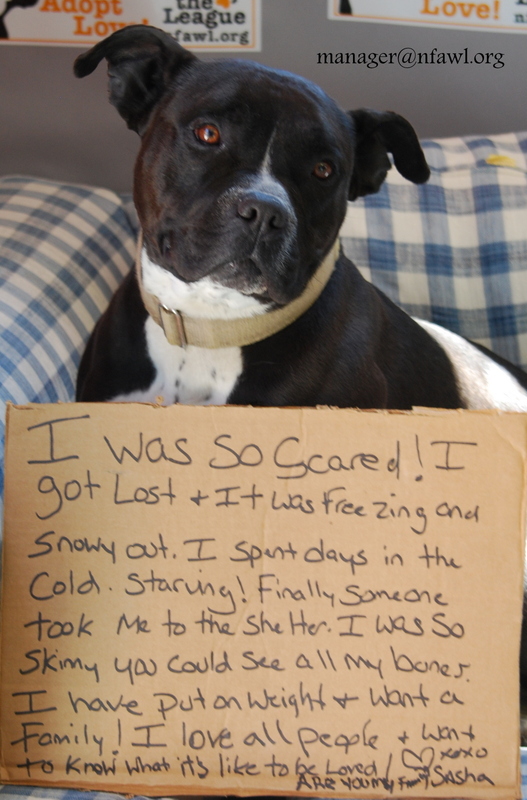 Coco was left behind when her owner moved. She loves people! Is ok with some other dogs. She loves to play! 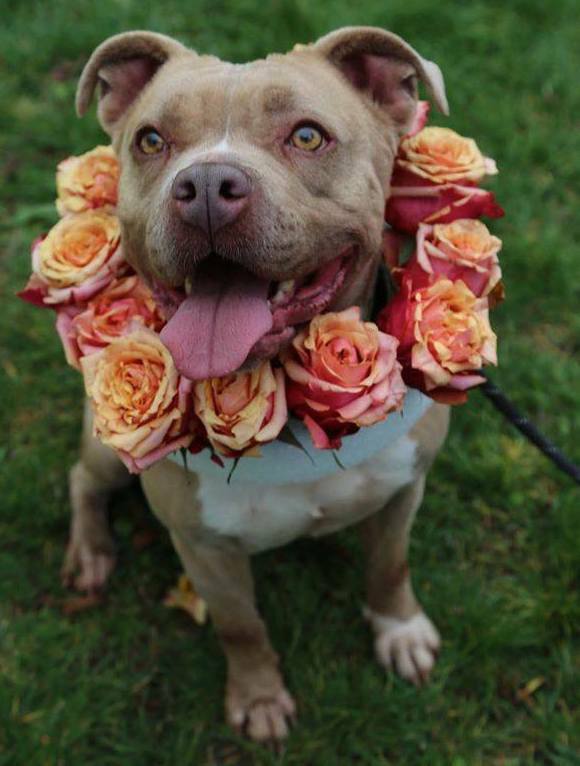 Coco has been in the shelter for over 1.5 years. Zeus: In Greek mythology he was the highest of the gods and we all think the highest of our Zeus too! At the shelter for over three years now, Zeus knows all of his basic commands and beyond, and would be grateful to share a home with a human companion as goofy and fun-loving as himself. Could you be that person? Zeus has been at the shelter since December 2011. 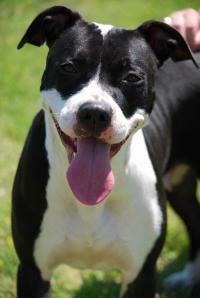 Dinah is a 4yr old spayed female Bull Terrier Mix. She came into the shelter as a stray on 2/10/14. She gets along with most dogs, but does great with male dogs. She would be best in a home with no kids or cats. She is very intelligent, easy to train and has a lot of energy. 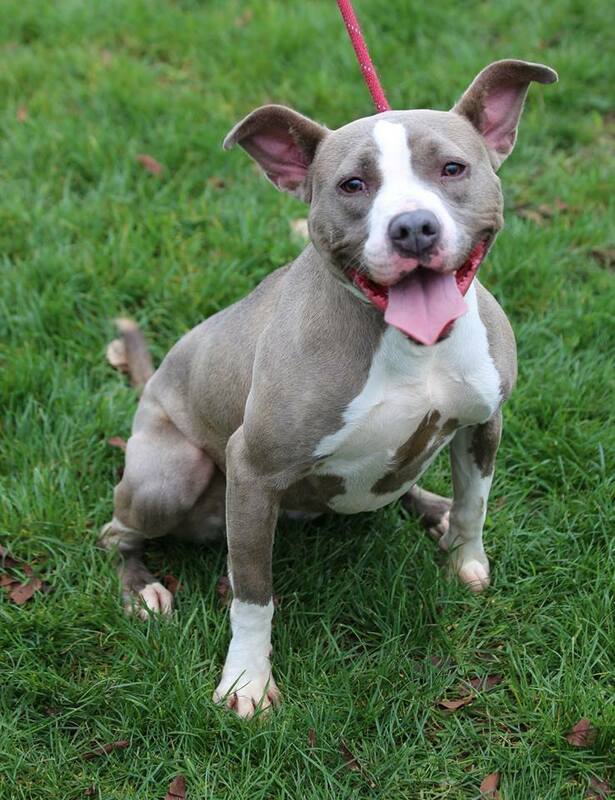 Kiko is a 4yr old female spayed pit bull. She was found as a stray and came into the shelter on 11/5/2012! She goes to the Dog Park and does great! But living in a home she becomes very dominant, and will do best as the only pet. No Cats! No small children, as Kiko is very strong and doesn’t know her own strength. She is 75 pounds of love! 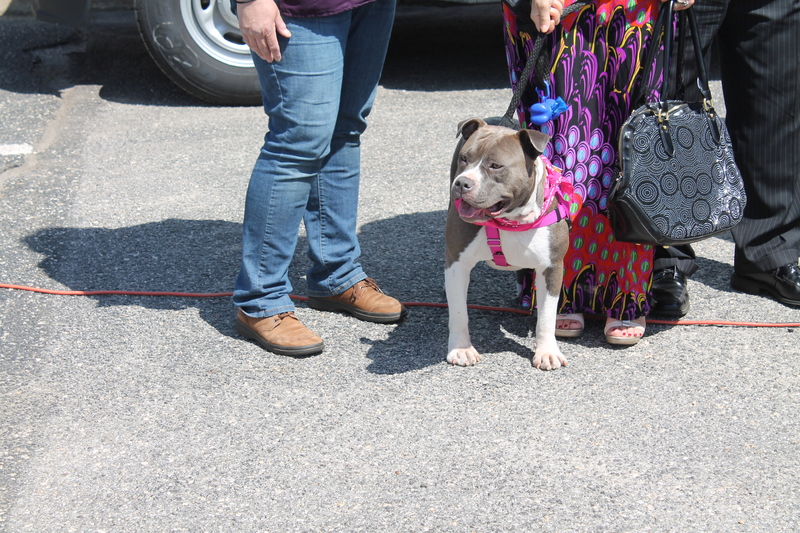 Stella is an 8yr old Pit Bull, and was surrendered by her owner to the shelter in 2013. Her owner had to move and could not take her. Stella gets along with some dogs, but she would do best in an only pet home, as she can be territorial. She does not like when people stick there hands in the kennel, because she is protecting her home. A calm household is what Stella is looking for with No cats. She is 56 pounds. 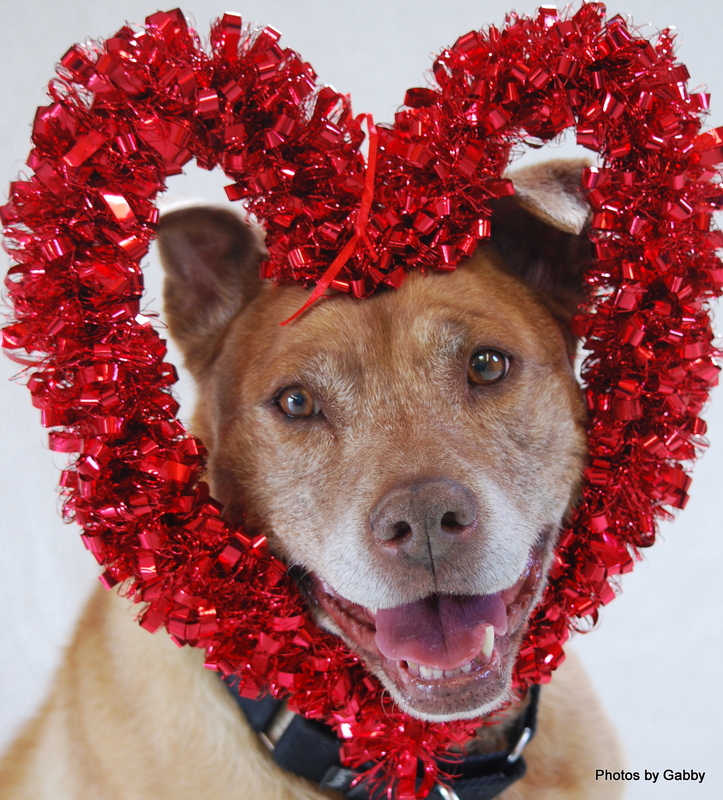 Cowboy has not had much in his lifetime & has spent most of his 7 years in a kennel. 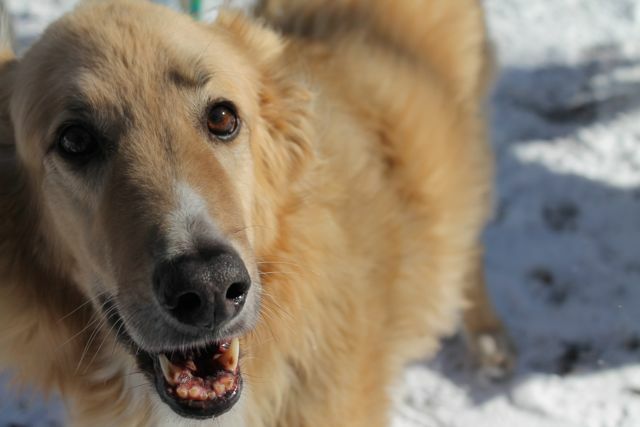 Cowboy is looking for a home where he can finally live his authentic self. 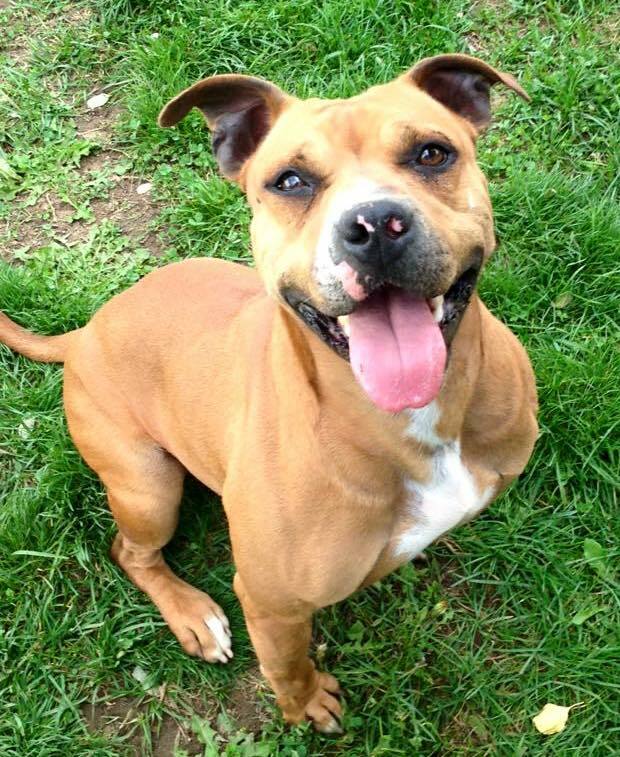 Cowboy is smart, athletic, & loves physical & mental activities like fetch & tug. 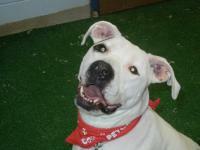 Cowboy is one smart dog & loves to please the people he loves. Cowboy has lots of training. 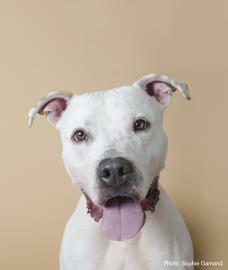 No dog should sit in a shelter for a majority of their life but Cowboys has as he patiently waits for his forever home. 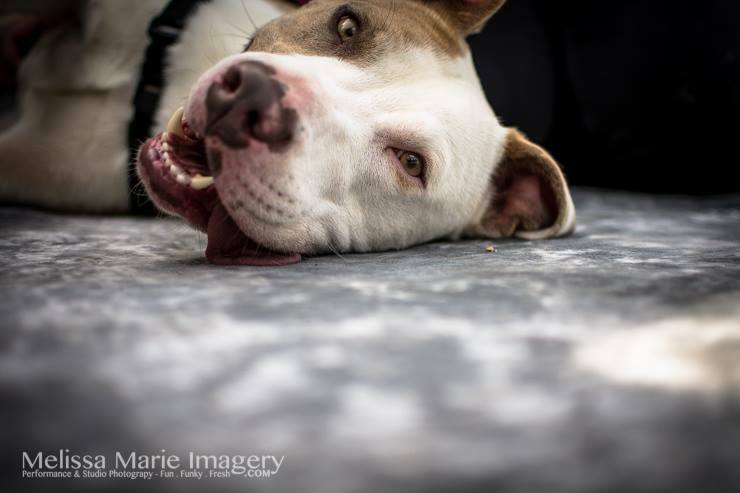 Cowboy will snuggle, loves physical play time he’s your guy. Memorial Day weekend has crept up on us early this year, and with the unofficial kickoff to summer, BBQ’s, celebrating with friends, family and of course our pets – please take just a moment to think of, and thank our veterans who protect our country and freedom and keep us safe. And to those two-legged and four-legged who we remember and memorialize those military who have passed, thank you. 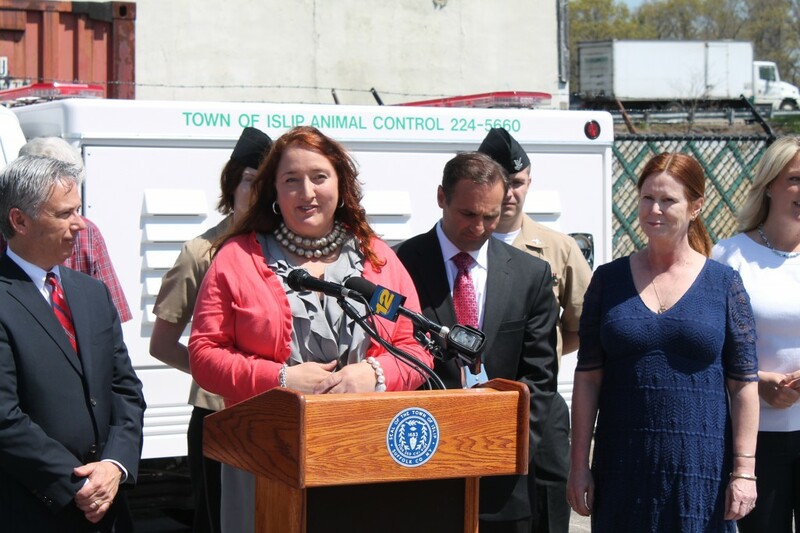 A couple of week’s ago I was fortunate enough to attend a press conference at the Town of Islip Animal Shelter and Adopt-a-Pet Center who recently worked with the Long Island branch of the national non-profit organization Pets for Vets. 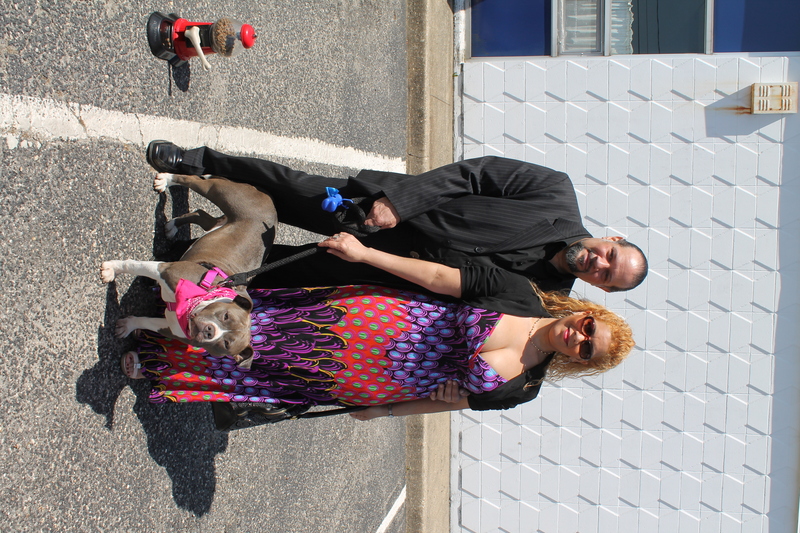 Pets for Vets rescued one of the dogs at the shelter, Ariel a Pit Bull, now named Bella to bring into their program. After working with Bella to train and socialize her, and with her very sweet personality, they have already placed her in a forever home with Marine Lance Corporal Robert. Bella is already providing Robert with comfort, helping him get back out into society – he has to walk her after all – and helping him cope with PTSD that he suffers from. Robert is very soft spoken, but you can see how proud he is of Bella and how happy he is since having her in his life. 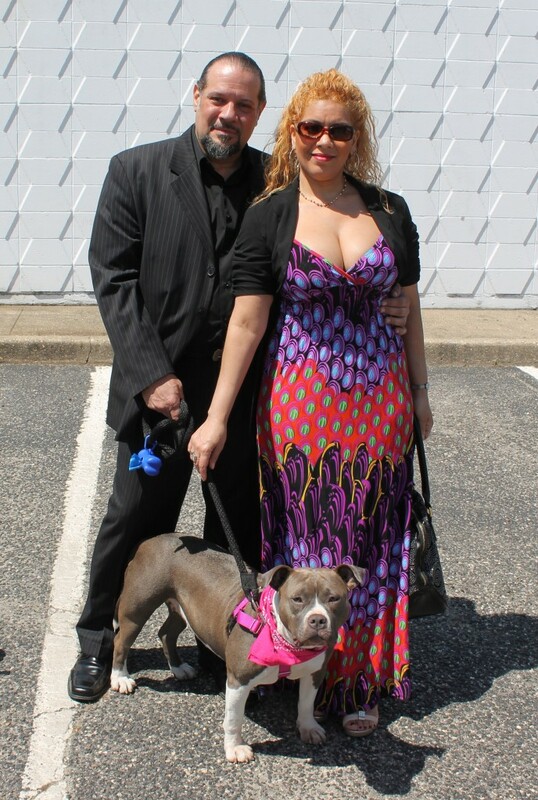 I spoke with Heidi Hoistad, Head Trainer for Pets for Vets Long Island NYC and Bella’s trainer, during the press conference about how wonderful it is that they picked Bella, an American Pit Bull Terrier, how wonderful it is for the breed, and for people to see that pit bulls are after all, just dogs. Heidi agreed and she said they look for dogs that will be a right fit, have great temperments and had a couple of the smaller breed dogs that were at Islip in mind for another veteran. So it doesn’t matter the size or breed of the dog, but how the dog is going to postively impact a veteran’s, (and his family’s), life. And a dog being rescued for this is the icing on the cake in my opinion! 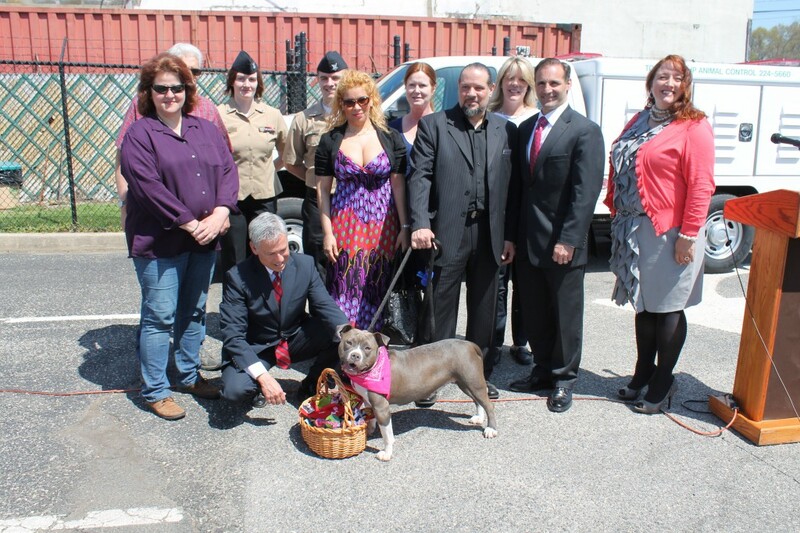 Bella and her new family were presented with a basket full of dog toys, treats and goodies, donated by the Islip Animal Shelter’s non-profit volunteer group, Live Love Bark Dog Rescue. The shelter will also be offereing freed pet adoptions to veterans during the month of May where Live Love Bark will be paying adoption fees for anyoe with military ID. 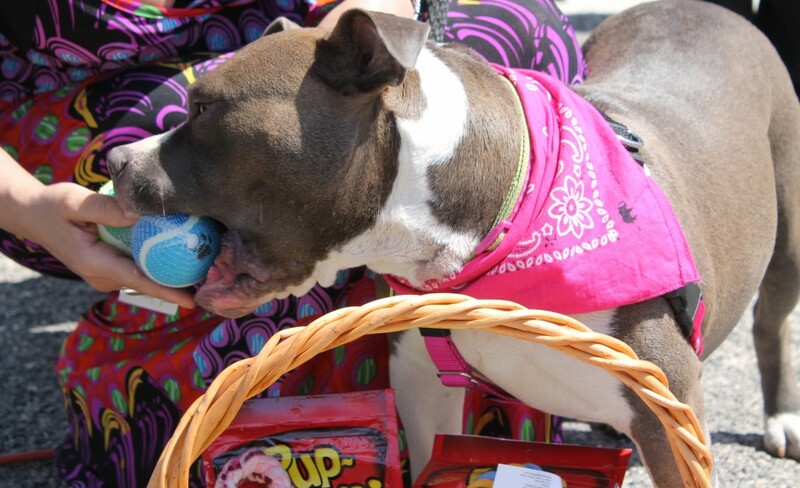 Bella dove right into to the basket pulling treats and toys out and stealing the show – while we were all cracking up laughing at her sweet antics. What an awesome dog! Marine Lance Corporal Robert and his wife Mary, with Bella the dog. Bella is a beautiful, low rider. To learn more about Pets for Vets please visit their website or facebook page and for info about the Islip Animal Shelter visit their facebook page and to learn more about Live Love Bark Dog Rescue or make a donation so they can continue helping, click here. Have a happy and safe Memorial Day everyone! Contact the Nassau County SPCA at Abuse Hotline Phone: 516-THE-SPCA (843-7722) or if you are not sure if it is abuse i.e. maybe the owner is not well either call their adminstration office at (516) 812-7771. Suffolk County SPCA (631) 382-7722. Please do not leave your pets out long to go potty and do not take them for long walks. Check their paw pads when you bring them back inside for any cuts or scrapes. If you have booties, and a warm coat for your dog please be sure to put them on before they go outdoors. If you have an indoor/outdoor cat – keep the cat inside until the temperatures go above freezing. 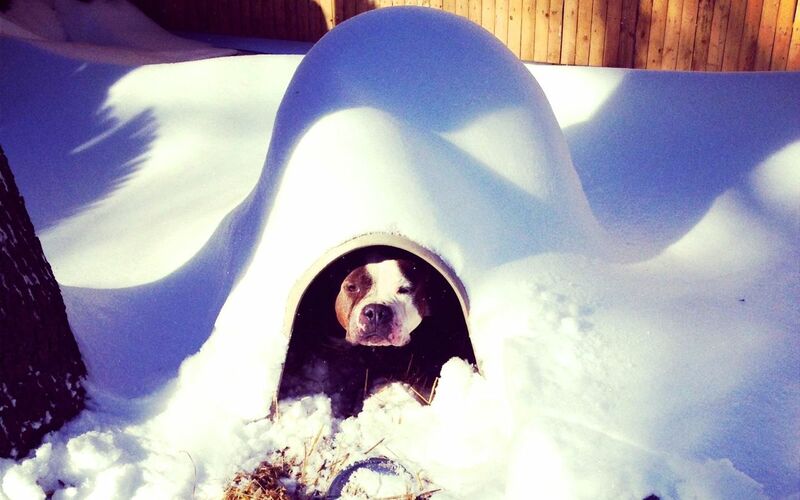 Pets should enjoy the snow, supervised of course, and never left out in it. 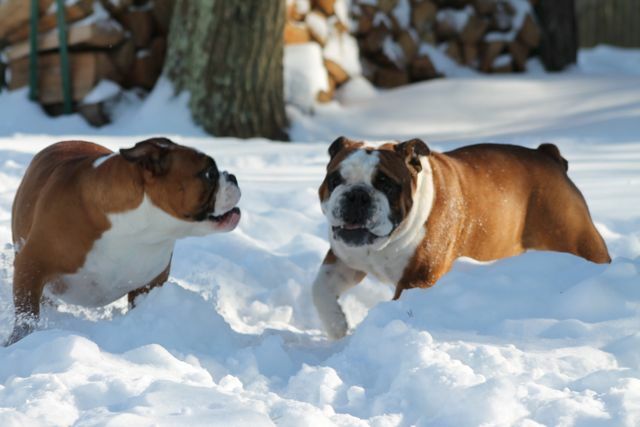 Bulldogs Izzy & Igor romp and have fun and go right back inside their warm house. A common misconception among pet owners is that having your pets microchipped, that once the dog or cat is chipped, then your pet is protected. If your pet ever gets lost, the microchip will help bring your beloved pet back to you. Yes, the microchip has brought countless pets back to their owners – we have all read the amazing stories of pets being reunited after long journeys all because of the microchip. Did you know how many pets are microchipped – but their pet parents fail to register them? I know you might be sitting there reading this, saying, “What? I thought the rescue I adopted Buddy from registered him?” Or, “I thought when I got him from the animal shelter they registered him with my info before I left with him.” Nope. Wait let me say that louder NOPE! Many pets go missing especially during the holidays – and while the pet may be microchipped, more often than not, if they are found by a good samaratin and brought to an animal shelter or veterianarian office to be scanned for a microchip – and the chip is not registered. So the shelter then has no idea who the pet belongs to and most shelters after a 7-day hold on the pet, the pet is then put up for adoption. So what to do? You need to register your pet with a microchip company. Putting in your information, means putting in your most up to date info. Most people keep the same cell phone number, so having that in there would be my first choice. And also your home number and alternate number just in case they can reach you at the first number. Here are some companies you can look into on microchipping your pet. www.24petwatch.com – 24PetWatch’s Lost Pet Recovery is there to not only identify your pet, but to reunite you as soon as they’re found. Thanks to 24PetWatch’s microchip, you can be reunited safely and quickly. If your pet is not microchipped, most animal shelters can microchip your pet, as well as rescue groups and even your vet’s office may provide the service. A lot of private rescue groups also offer low cost microchipping on a regular basis. If you’re pet is lost, and he does not have a collar with ID tags or a microchip, the first thing you should do is contact your local town municipal shelter and let them know, and if you can bring them a picture with all your appropriate contact info. I would also contact the privately owned animal shelters too – to let them know your pet is missing, send them a picture, age if the the pet is on meds, etc. Social media has exploded over recent years with ‘Lost and Found pages on Facebook’. Look in your local area, town, city, state to see if there is one set up for you. Post the picture of your pet, where and when he was lost, if the pet is in need of meds, friendly, nervous around strangers, etc. This will be very helpful in finding your pet. Another website that is very helpful is Pet Amber Alert, they offer many services to help you recover your pet if gone missing, even putting out a phone call to thousands in your surrounding neighborhood letting your community know a pet is missing. You can also easliy search Facebook for pages near where you live for similar pages. Craigslist is another popular site to post your missing pet in the pets section where you live. And the good old fashioned way of posting fliers around your neighborhood with photo, and contact number for someone to call you if they have your pet. Bottom line? If your pet is microchipped, stop what you are doing and make sure your pet is registered with you! Thanks to Laura Jeane and Gus who inspired this article!